As mentioned in my last question i have problems with \input command and relative paths which getting wrong. I also tried the import-package but don't get this to work. Till now I just have two shared preambles at different locations so each file can find it, but it is not so great when having to edit two files. Is there may a function in tex that I give it a root folder and just let tex search inside this folder for a specific file (tikz_packages.tex for example) and so don't have to argue with the problem with the relative paths. Or another option may be give him two paths. When he can't find the first path he should just use the second path, then the third path till he find it. Is something like this possible in latex? Since my folder is not so big the searching should not take much time. 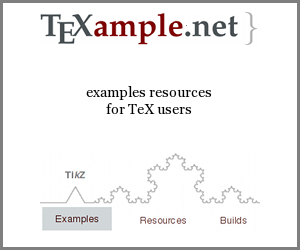 When I have files that should be found from various locations and from various other files I normally put them in the standard search path of my tex system(s). This avoids a lot hassle with relative input pathes, but it requires that the files have across all my texmf trees unique names. So generic names like "bibliography.bib" or "mypackages.tex" should better be avoided. Okay I don't know excatly why but i made a MWE and try using the import-package again and it seems to work now oO. Not the answer you're looking for? Browse other questions tagged input paths import search or ask your own question. How to specify the absolute path of the output directory with latexmk? Problem with absolute path and [ngerman] babel?